History of our organic farm, Emerald Estate. Whilst there are no historic documents, it is thought that Emerald Estate was established over 200 years ago, growing various food crops but that these initial efforts were ultimately unsuccessful. 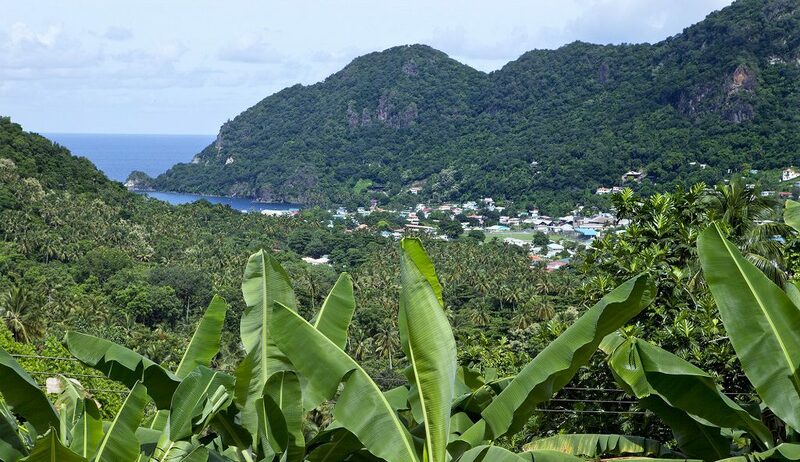 Located in the Soufriere hills, Emerald Estate originally did not have the water resources for creating the power needed to operate a sugar mill which was the basis of success for other surrounding estates at that time. During the 1800’s, Emerald Estate was reestablished to grow oranges and soursop, a popular fruit to this day in the Caribbean and many other locales around the world. The flavor of soursop has been described as a combination of strawberry and pineapple. The flesh of the fruit consists of an edible white pulp which is used to make fruit nectar, smoothies, fruit juice drinks, as well as candies, sorbets, and ice cream. 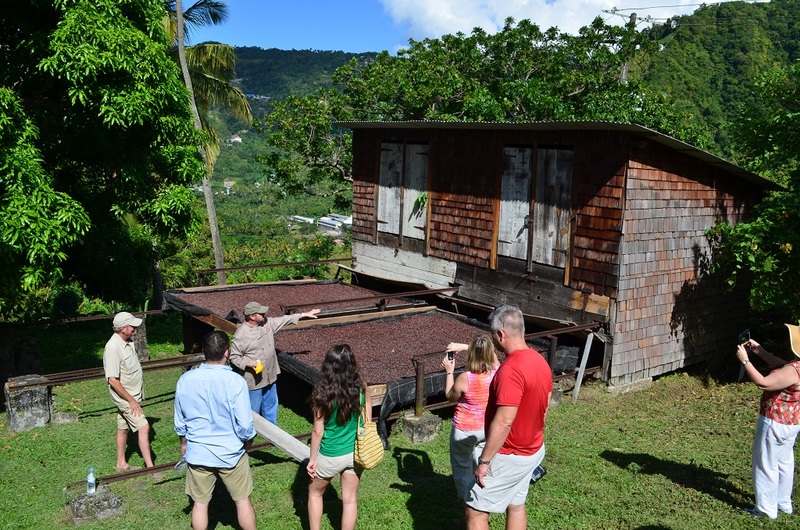 Later in the century the estate was converted entirely to the production of cocoa. The current estate house was built in the 1920s. The estate was bought by the Troubetzkoy family about 20 years ago. 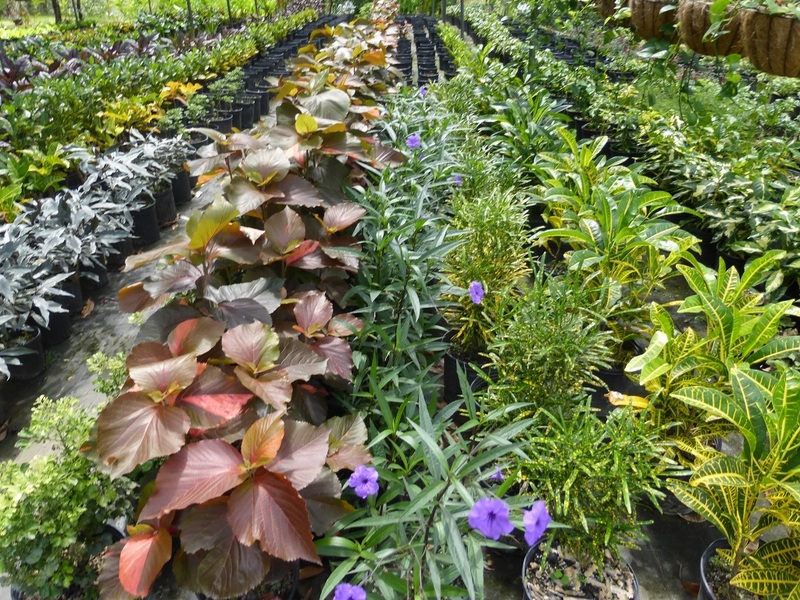 Initially, the farm was used to grow the myriad of plants needed for the landscaping of Anse Chastanet and eventually Jade Mountain. The large workshop was used to make resort furniture for both Anse Chastanet and Jade Mountain. of consulting chef Allen Susser, taking the farm to table concept to a completely new level. Several greenhouses were installed. Flowers and ornamental plant production began to flourish and plans are under way to create a small orchid farm. 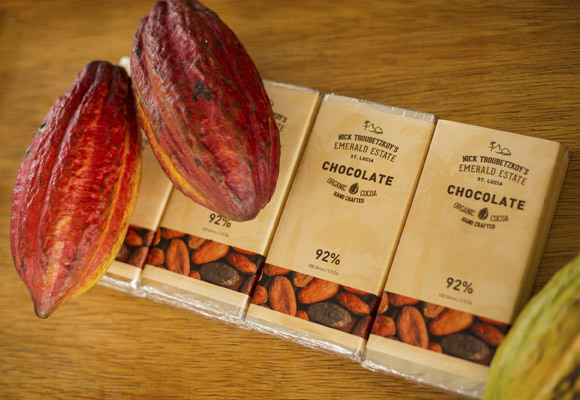 In 2009, Chef Allen took a particular interest in the over 2000 cocoa trees on Emerald Estate and suggested that rather than selling off the cocoa beans, the resorts should consider making their own chocolate. Nick Troubetzkoy’s Organic Emerald Estate Chocolate was born! Whilst the chocolates were originally made available to resort guests only, the production has been increased to be able to sell in other locations also. 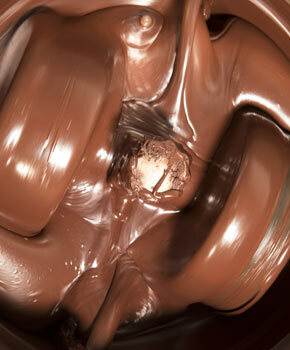 Please also read about our Chocolate Laboratory and our chocolate tasting activities.